As you will see in my introduction to my lentil dhal curry recipe, I have become somewhat of a superfan when I comes to Sri Lankan curries. Never had I had such a variety of fresh and interesting dishes in lovely perfectly sized portions. Each different dish leave your mouth tingling with flavour and the variety of fish dishes has really opened up my imagination. This recipe has come straight out of our Sri Lankan cooking experience. After winding through the manic streets of Kandy, Sri Lanka’s second biggest city, we started to descend into the most beautiful privately owned estate. The owner had had the land in his family for hundreds of years and it now functions as an almost completely self-sufficient estate. After a tour of the beautiful house, we made our way into the traditional Sri Lankan kitchen where we rustled up fresh coconut milk and six different curries. Each one tasted incredible but this one was one of my favourites. It is so quick and simple to make but it is bursting with flavour and texture. The Sri Lankan’s don’t seem to ‘bulk out’ their curries as much as we traditionally do, instead focusing on one main ingredient in each dish. If you would like to, feel free to bulk out the recipe below by adding mushrooms, peppers or even spinach. You can use most white fish in this recipe. We used tilapia in Sri Lanka but when I made this last night I used some of the red mullet I got from Ocean Classics. The flavour and texture of the fish worked perfectly and really added something to the dish. 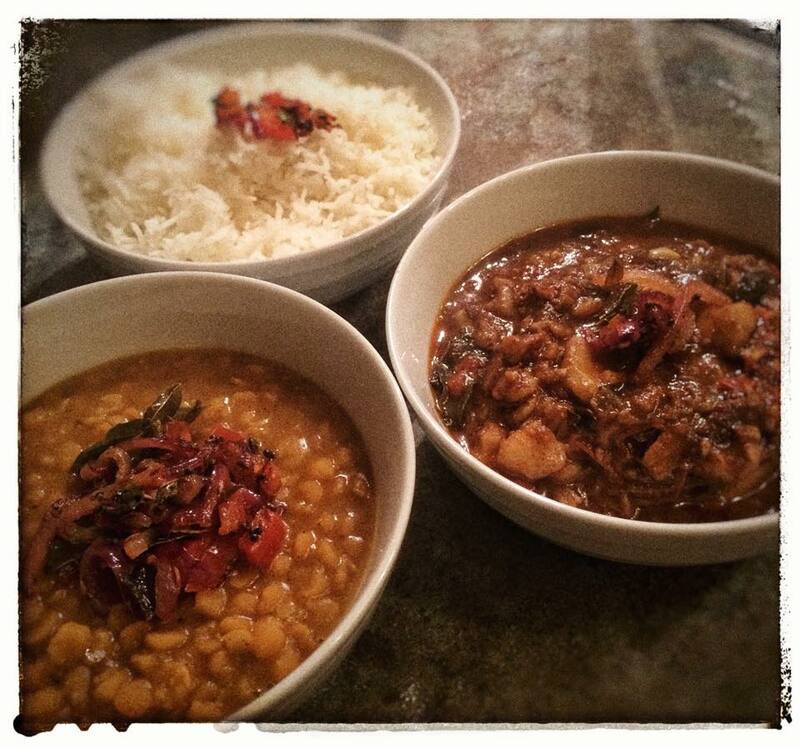 I served this curry with my Lentil Dhal (1sp) and a small portion of basmati rice (4sp) for 8sp in total. Spray a medium sized sauce pan with coconut 1kal (or regular 1kal if you don’t have the coconut one), heat and then fry the onions, garlic and curry leaves for 5-6 minutes until the onions have softened. Add the spices, tomato and salt and fry for another minute or two. Then add 100ml water and 1 tbsp coconut milk. Stir and then add the fish. Simmer for ten minutes until the fish is cooked through but retains its shape. Finish with the rest of the coconut milk, some black pepper and a pinch of sugar, simmering for 2 minutes to heat through. I have just made this. Wow it was one of the best curries I have ever had. So pleased you enjoyed it Alison, this is one of my favourites! Wow delicious. Had it with the Dahl & rice. Loved it. You are a talented lady & I can not big you up enough! Hi, I’m Laura, Weight Watchers Gold Member, northern lass and healthy cooking enthusiast bringing you delicious Smart Pointed recipes from my kitchen to yours.